Rhubarbecue | Food It Yourself! The Food It Yourself Garden is progressing nicely. The peppers and cherry tomatoes are forming flower buds. The sugar snap peas are climbing their chicken wire trellis. I am starting to see ripe strawberries- but some *@#$-!! (#&^ chipmunk as been eating them before I can pick them. My green beans were looking amazing, too, and just today a woodchuck nibbled away all the leaves. The zucchini is doing great. Zucchini always does great. My rhubarb was getting a little wild. The leaf stems were skinny, and the extra tall stalks were blooming. They were pretty, but the stalks and flowers are not edible. I cut them way back, so the plants would not waste energy on them. This left me with a lot of skinny leaf stems to use up. A quick survey of the interweb revealed rhubarb is a popular addition to barbecue sauce. That was an unexpected but welcome bit of information. Mr. Food It Yourself likes barbecue sauce. What, then, is rhubarb? Despite the old joke about rhubarb being “bloodshot celery, the two plants are not in the same family. Rhubarb is actually related to sorrel and buckwheat. (For the record, celery is related to carrots, dill, fennel, and parsley.) Rhubarb leaf stalks are snappy and a little stringy, so they do need to be cooked. They also have a very tart taste, so they really do need to be sweetened. It is important to know that the leaf stems are edible, but the leaves themselves are toxic because they take high levels of oxalic acid. Do not eat the leaves. If you want more details about this fascinating, potentially dangerous, and delicious vegetable, Dan Eisenreich has a website devoted to it. 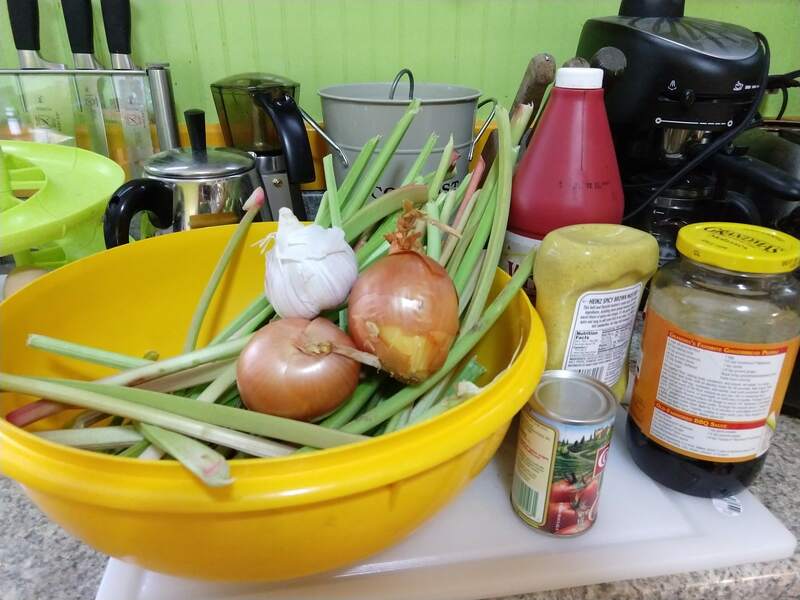 Besides rhubarb, most of the recipes I found on the internet used pantry staples like vinegar, sugar, and cayenne pepper. 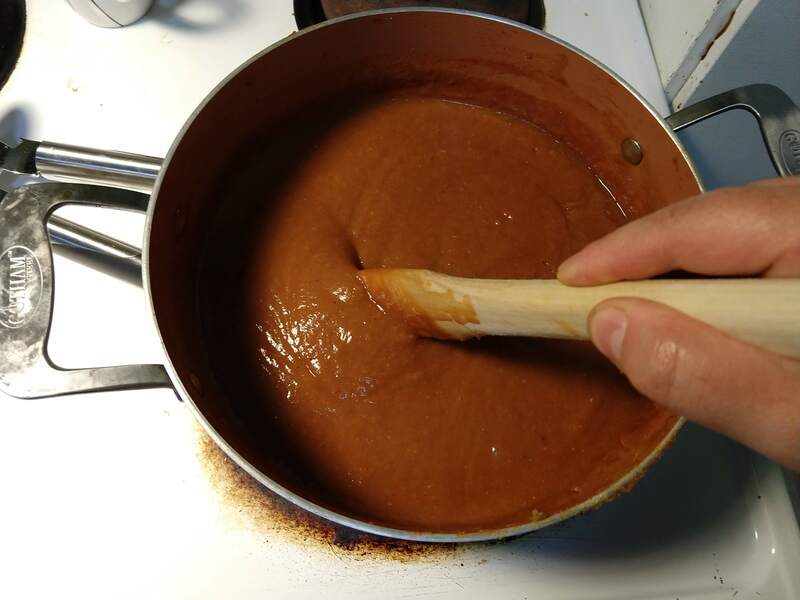 I poked around my pantry, and grabbed two onions, a few garlic cloves, tomato paste, molasses, liquid smoke, hot sauce, and brown mustard. 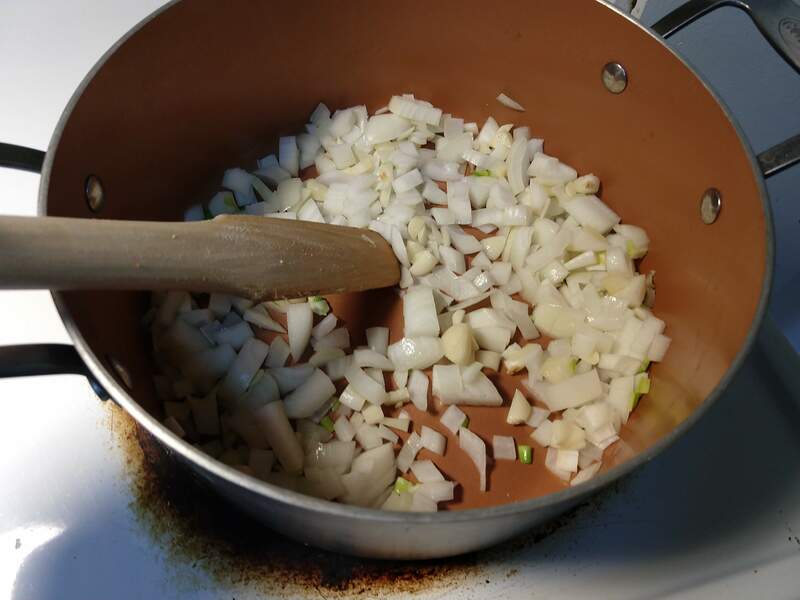 First, I chopped the onion and garlic and sauteed them lightly. I chopped the rhubarb stems and added them to the pot. I also added a pinch of salt to help draw out the water as it all cooked down. While that was happening, I selected my spices and toasted them. 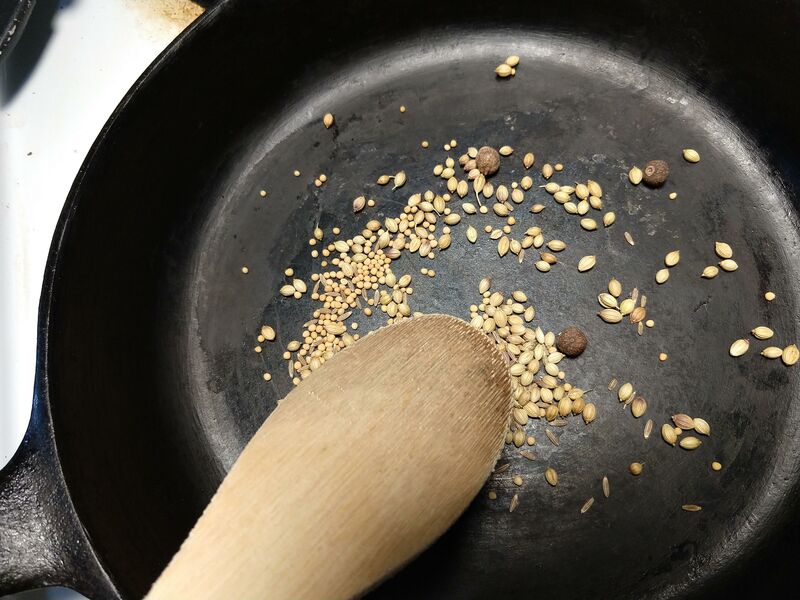 I went with cumin seed, coriander seed, mustard seed, and a few allspice berries. Once the seeds got nice and toasted I let them cool then smashed them. I also let the softened onion/garlic/rhubarb mix cool before I moved it from the pan to the blender. 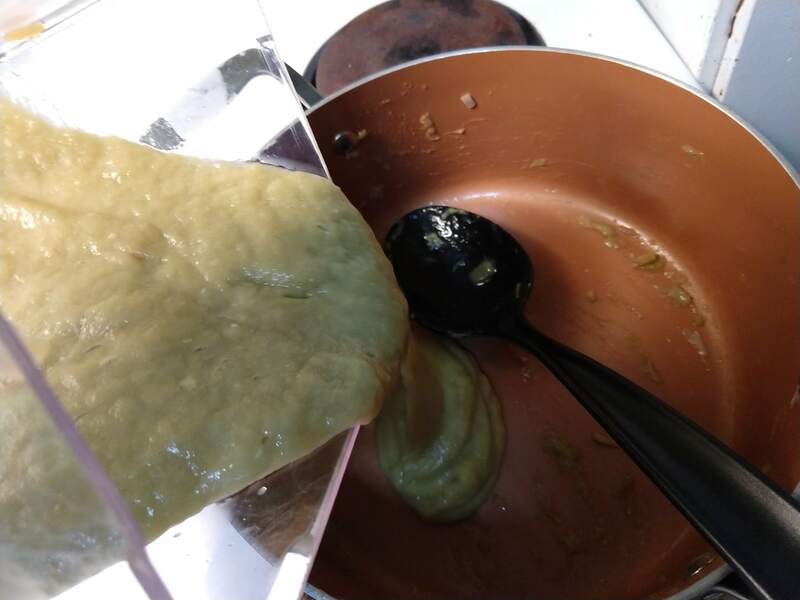 Do not put really hot food in your blender. After a good blend, I returned the rhubarb mix to the pan and added my toasted, ground spices, and all my pantry finds. I heated it gently and adjusted the seasoning- it just needed a little more salt. 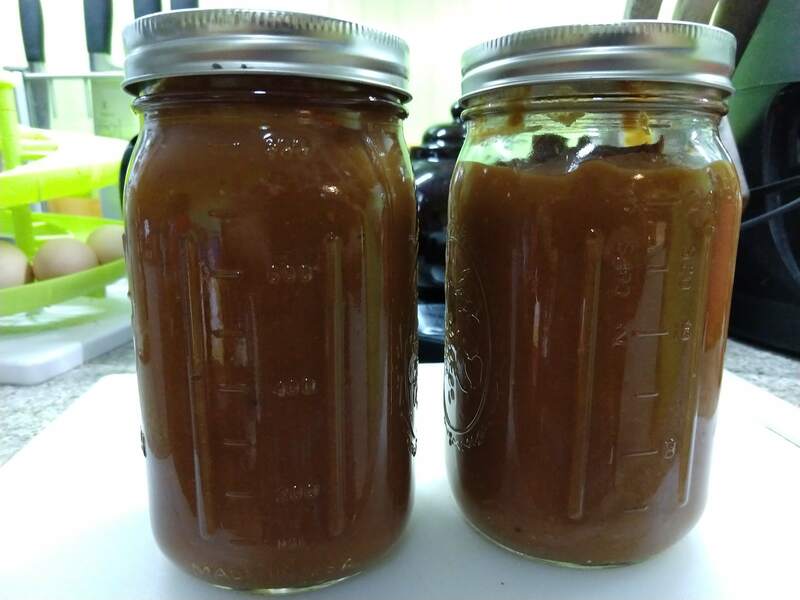 And there we have it-two quarts of home made barbecue sauce. Mr. Food It Yourself took a taste and declared it “very, very, tasty”. And he is all about the barbecue sauce. Hopefully, my rhubarb will bounce back and I will get another cutting or two this year. I am glad I was able to use up all the stems I harvested, and that the result was so successful. Have you ever needed to find a way to use an unexpected harvest? Share your story in the comments section. Also, if you know how to keep adorable, fuzzy, wildlife from eating a garden, I would appreciate your input. ← Food It Yourself Garden 2018- Can I Get a Volunteer?